BRITISH MPs have passed secondary legislation to delay the date of Brexit by a 336 majority, but all eight indicative vote options were defeated. The delay vote was carried by 441 yes votes to 105 no votes in the House of Commons tonight. The UK is now on course to leave the EU on May 22 if MPs approve Mrs May's Brexit deal this week. If it is not approved, it is likely that they will leave without a deal on April 12. The results of the indicative vote process were announced without a majority outcome, with the parliament planning to consider the matters on Monday. Proposes leaving the EU without a deal on April 12. Continued participation in the single market and a comprehensive customs arrangement with the EU until a wider trade deal is negotiated. Negotiate a relationship with the EU similar to Norway’s. Requires a commitment to negotiate a ‘permanent and comprehensive UK-wide customs union with the EU’. A close economic relationship with the EU, including a customs union. Government would have to stage a vote on a no-deal Brexit if Theresa May's deal not voted through. If no-deal is voted down, the Government would then revoke Article 50, bringing a halt to the UK's departure from the EU. A referendum to confirm any Brexit deal passed by the UK Parliament before its ratification. This option mean the government would "at least reciprocate the arrangements put in place by the EU and or its Member states to manage the period following the UK's departure from the EU". 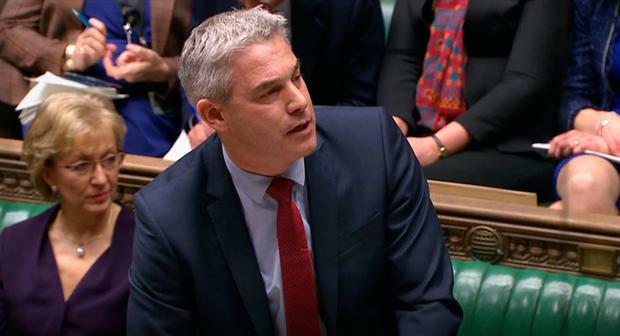 After the vote, Brexit secretary Stephen Barclay said tonight’s results show there is "no easy way forward" and encouraged MPs to back Mrs May's deal. "If you believe in delivering on the referendum result by leaving the EU with a deal, then it's necessary to back the Withdrawal Agreement - if we do not do that, then there are no guarantees about where this process will end. "It's for that reason that I call on all members from across this House in the national interest to back the Prime Minister's deal." This comes just hours after British Prime Minister Theresa May announced that she will quit if her twice-defeated EU divorce deal passes at the third attempt, making a last-ditch attempt to persuade rebels in her Conservative party to back her, an MP in her party said. Mrs May has told Conservative MPs she "will not stand in the way" of the party having new leadership for the second phase of Brexit negotiations, telling the 1922 Committee: "I am prepared to leave this job earlier than I intended in order to do what is right for our country and our party." Mrs May "will go if deal gets through," said the MP, who spoke on condition of anonymity. "Suggests she goes after a deal." Another Conservative member said that while May had not given a date, the impression was that she would go "reasonably soon". Earlier this evening, the DUP said it will not support the British government if it tables a fresh meaningful Brexit vote because "the necessary changes we seek to the backstop have not been secured". "All concerned recognise the need to ensure that as we leave the European Union the economic and constitutional integrity of the United Kingdom is maintained," Ms Foster said. The results of the votes come as Theresa May announced that she will quit if her twice-defeated EU divorce deal passes at the third attempt, making a last-ditch attempt to persuade rebels in her Conservative party to back her, an MP in her party said.